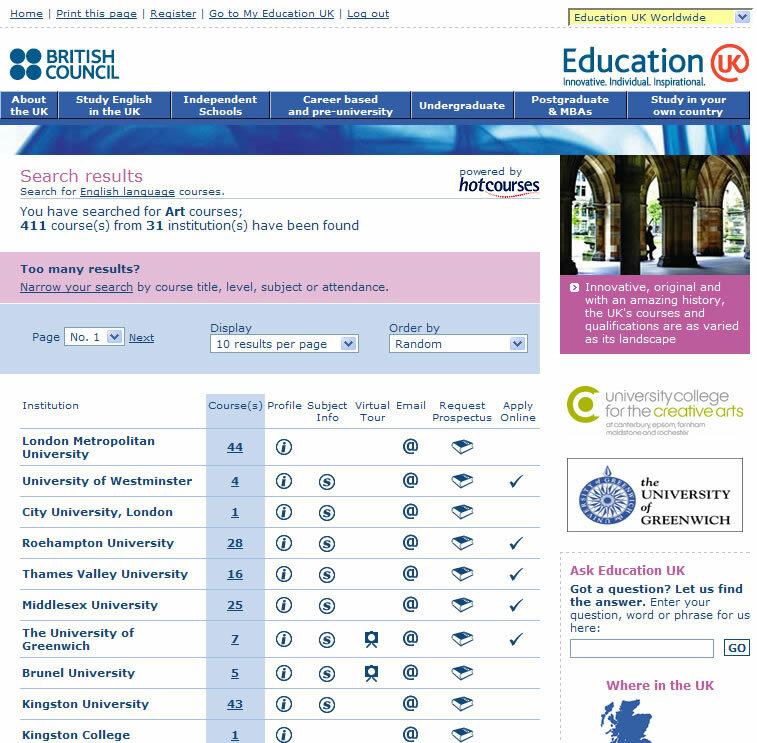 Education UK is a group of sites in partnership with the British Council which allows students from overseas to search for courses in the UK and find out details about what living here is like and what they need to do to prepare to move to and study in the UK. 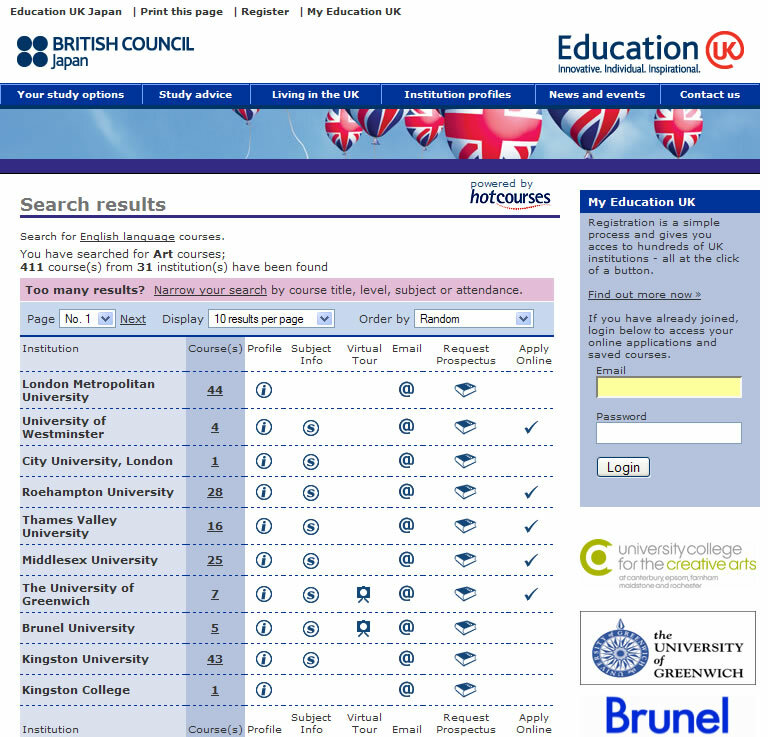 I have been involved in numerous redesign projects for the education UK site over the years and am responsible for the day to day maintenance of the suite of sites, including the foreign language versions. We are currently rolling our these sites into a new look and feel and the global site will then re-launch later this year.